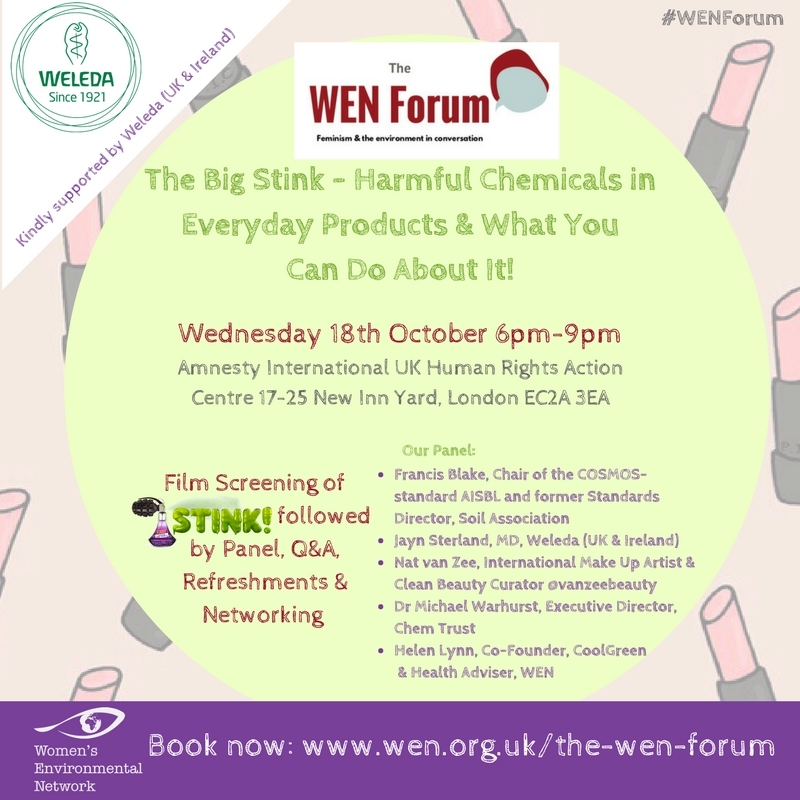 The WEN FORUM, is a quarterly symposium featuring key note speakers discussing topics of the moment. Always inspiring, topical and sometimes controversial! Book early to take advantage of our Early Bird ticket price. Concessions available too. All our events include refreshments, panel discussion, Q&A session and time for networking. 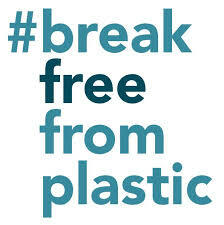 Generation Plastic - toxic chemicals in plastics, what’s the problem? We are delighted that Caroline Russell, Chair of the GLA Environment Committee and Leonie Cooper, Deputy Chair will be hosting the evening at City Hall. We are taking #PeriodAction for healthy, eco-friendly menstrual products, available to all. Together with activists, menstrual-prenuers, social enterprises, businesses, we are coming together to make a big noise about periods. 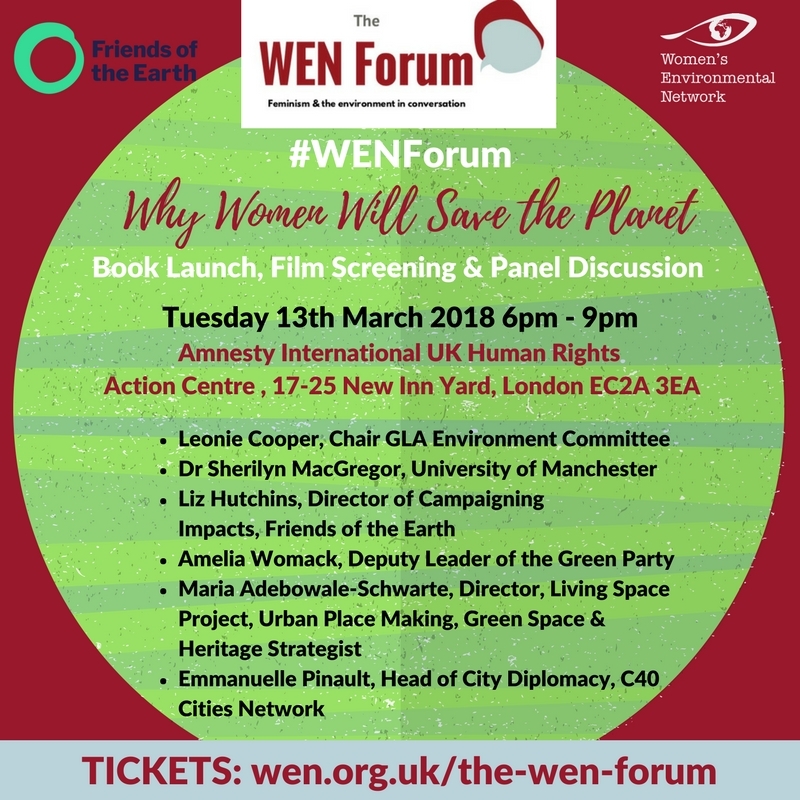 This WEN Forum, in association with Friends of the Earth, celebrated the eagerly awaited launch of the 2nd edition of "Why Women Will Save the Planet". We also screened the film Feed the Green - Feminist Voices for the Earth. This was followed by a panel discussion and question and answer session. Why do Gender equality and sustainability go hand in hand? What role does women’s empowerment play in creating sustainable cities? What would an intersectional feminist and sustainable city look like? How can we have a gender approach to urban climate policy? What are the challenges of promoting both gender equality and sustainability in cities? How can we support women to be climate leaders at all levels? What role does grass roots action play in this agenda? How do we ensure social, gender and environmental justice in this context? Are there any success stories we can learn from? The evening will start at 6pm with time to browse a selection of stalls (more details to follow), network and enjoy drinks and nibbles. The event will formally start at 6.45pm with introductions, followed by the film screening. The panel discussion will start straight afterwards and the event will end at 9pm. Stalls will still be available to browse until 9.30pm. 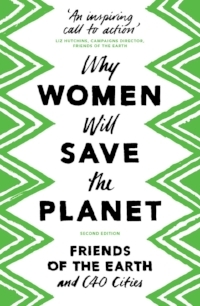 The book "Why Women Will Save the Planet" will be available to purchase on the evening. There will also be a special WEN joining offer. This book is a unique collaboration between C40 and Friends of the Earth showcasing pioneering city mayors, key voices in the environmental and feminist movements, and academics. The essays collectively demonstrate both the need for women’s empowerment for climate action and the powerful change it can bring. A rallying call – for the planet, for women, for everyone. Deidre Woods, BBC Cook of the Year 2016 will do a cooking demo too! 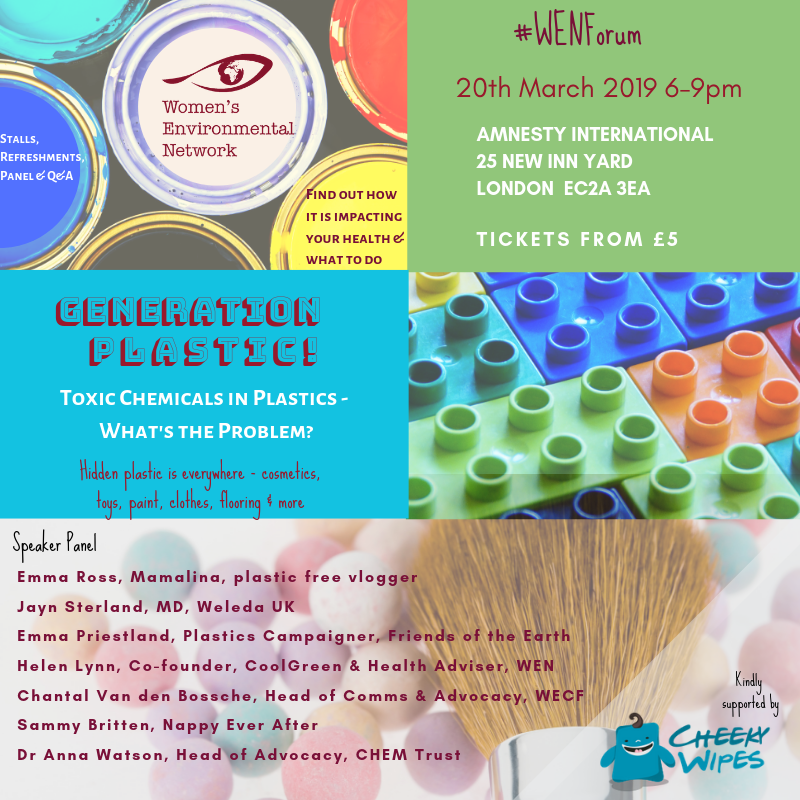 To celebrate International Women's Day 2017, The WEN Forum presented: How Can Periods Save the Planet? Our panel included experts in the world of menstruation, highlighting the diverse issues associated with menstruation worldwide. 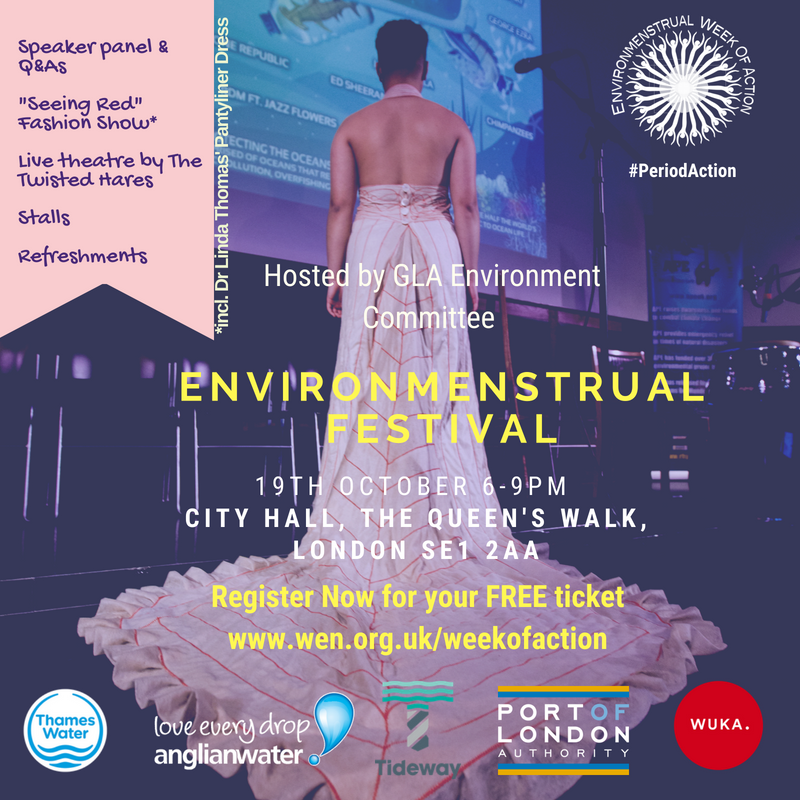 The discussion explored the health and environmental impacts of menstruation practices, and what some sustainable solutions might be to break down the taboo in various global contexts. Celebrating International Women's Day 2017 - From Left: Kate Metcalf, Co-director, WEN, Glenda Trew, Community Gardening Workshop Facilitator, WEN, Ruby Raut, Environmenstrual Project Officer, WEN, Heidi Ringshaw, Events & Marketing Coordinator, WEN, Kath Clements, Mooncup, Tara Chandra, Co-founder FLO, Natasha Piette-Basheer, Environmenstrual Project Officer, David Morrall. 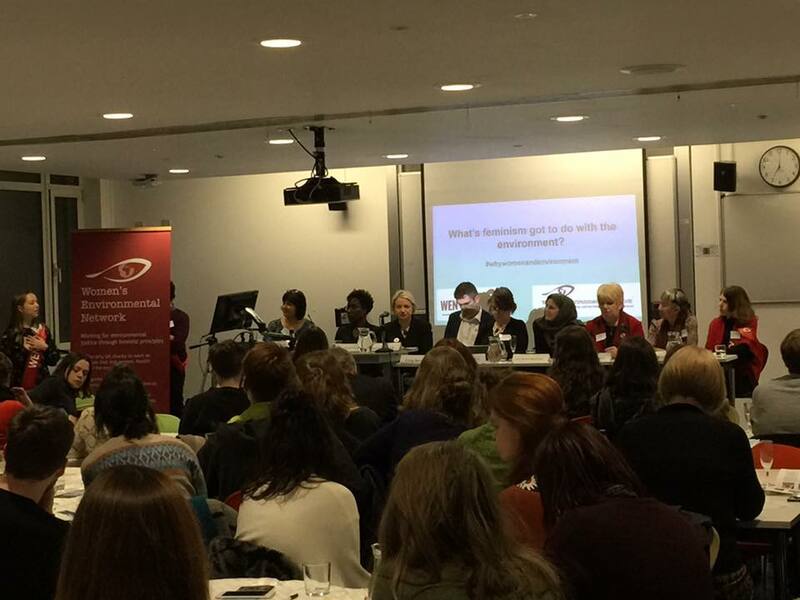 Trustee, Nepal Earthquake Recovery Fund and Sally King, Menstrual Matters (front) at The WEN Forum - How Can Periods Save the Planet? 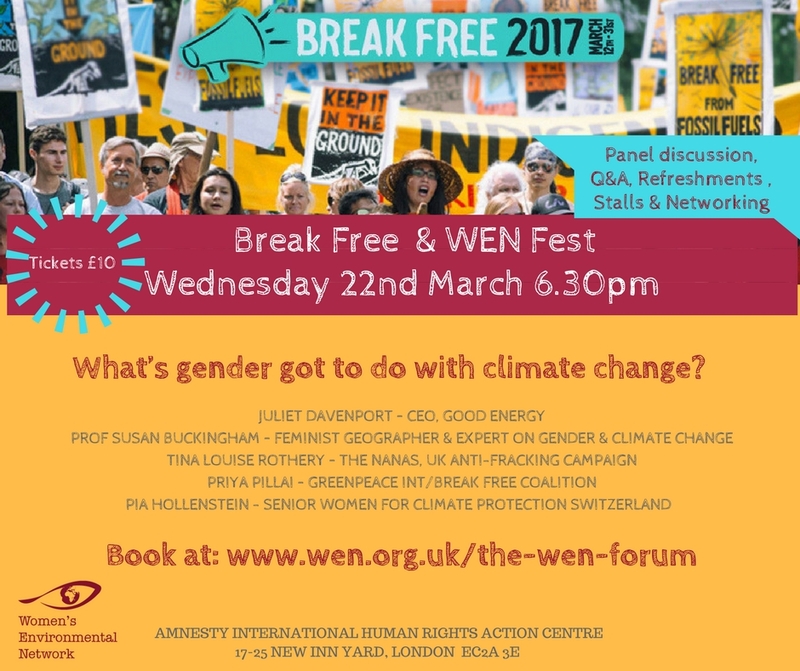 Highlights from January 2017 WEN Forum - What's Feminism got to do with the Environment?